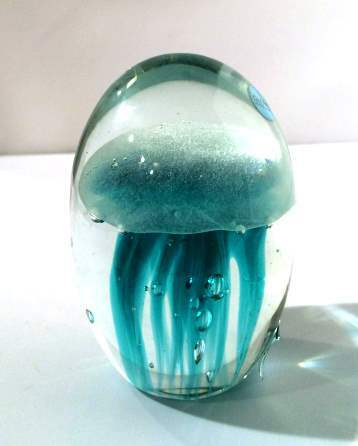 Turquoise jellyfish suspended in oval glass paperweight. Approximately 2.5" in diameter and 4" tall. Glows in the dark!